Head for the hills where a North Carolina ski resort is celebrating its 50th anniversary this season. Some might argue about which ski resort is the coolest in North Carolina. However, there is no denying which one is the highest. At an elevation of 5,506 feet, that would be Beech Mountain. 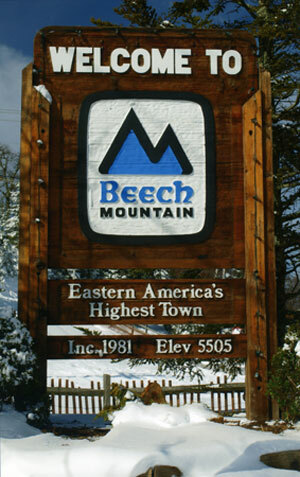 In fact, the slopes at Beech Mountain, which opened in the winter of 1967-68, are the highest east of the Rockies. And snow bunnies can have plenty of fun at Beech Mountain Resort as it celebrates 50 years of skiing in the Blue Ridge Mountains of North Carolina this season. When it made its debut, Beech Mountain was the only North Carolina resort built around an alpine village and remains that way today. 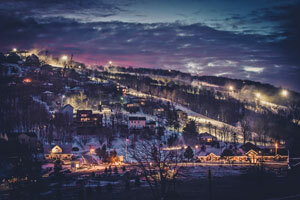 To celebrate the half-century mark, Beech Mountain Resort is offering season-long throwback prices for night sessions on Tuesdays, Wednesday and Thursdays. The resort will offer 1967 lift ticket prices of $9 for ladies’ night every Tuesday and for men’s night every Wednesday. On couples’ night each Thursday, the first lift ticket will be available for $16 and the second ticket will cost $8. The resort will hold a special golden anniversary celebration January 20-28 with activities, contests, live music, games and fireworks. First, however, the annual Winterfest Beer Festival is on tap for Saturday, January 6 from 4 p.m. – 8 p.m. The event, which will fill both levels of the Beech Tree Bar & Grille, will feature more than 50 ales and ciders from North Carolina craft producers. 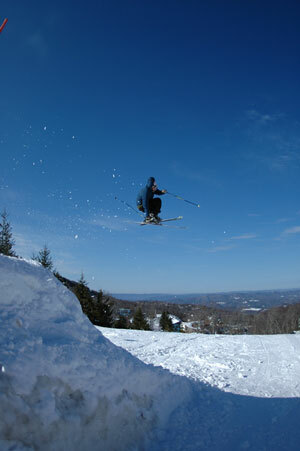 The festivities continue with the seventh annual Totally ’80s Retro Ski Weekend February 22-25. Think big hair, leg warmers, bandanas, Members Only jackets, ski suits with shoulder pads and lots of ’80s-era activities. With the addition of 65 high-tech, automated SMI Super PoleCat snow guns in recent years, the ski resort has undergone a snowmaking transformation. Adding more snow guns to its arsenal this winter, the resort will have its highest snowmaking capabilities in its 50-year history. The 5,506-foot elevation of the mountain complements the resort’s snowmaking abilities, leading to an average annual snowfall of 84.6 inches. This winter a new streamlined check-in process will get skiers on the slopes faster than in years past. Customers purchase lift tickets and rental equipment at a central location and then go straight through the fitting process. Another new feature this winter is the opportunity to buy multi-day tickets and rentals to avoid repeating the same process each day. 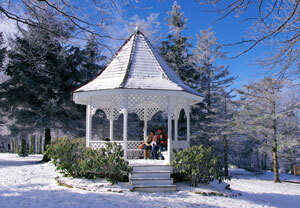 Beech Mountain also offers much more than skiing to entice winter sports lovers to the resort. Other activities include snow tubing, ice skating and learn-to-ski programs for adults and youths. Snowshoeing on the town’s Emerald Outback trails at the mountaintop is becoming another popular wintertime activity. Snowshoes are available for rental from the Beech Mountain Parks and Recreation Department, which offers guided winter hikes throughout the season as well. Beech Mountain also is home to a free sledding hill next to the visitors’ center in the heart of town. Complete with its own snow gun, the hill is open all winter for kids ages 12 and under. For après ski, the resort is located in the town of Beech Mountain, where lodging, shops, restaurants and nightlife are within walking distance or a short drive of the slopes. Lodging options include ski lodges, condos, ski-in chalets, inns and larger rental homes. The resort also has invested millions in upgrades during the past five years, adding a craft brewery, a skybar at the top of the slopes and a new terrain park with its own dedicated surface tow lift, lighting and snowmaking. Beech Mountain Brewing Company, one of the nation’s only breweries owned and operated by a ski area, handpicks the finest ingredients for its brews. The bi-level brewery features a large fireplace and hardwood flooring. Accessible to all visitors, Beech Mountain Brewing Company is open to the general public and does not require people to participate in resort activities to visit. Guests can try the brewery’s latest creations Thursday through Sunday or enjoy a flight of its various brews. They can enjoy live music on Friday evenings and trivia nights, beer bingo, karaoke and more during the ski season. 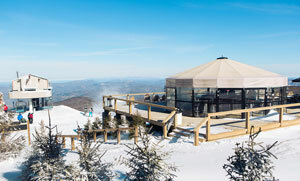 In 2013, Beech Mountain added a skybar called 5506’, paying tribute to the elevation that gives the resort the distinction of being the highest ski area in eastern America. The facility features a glass roundhouse with a bar, barstools and tables, a snack bar, a Bald Guy Brew mini coffee shop and heated restrooms. The full-service bar provides a selection of well and top-shelf liquors, mixed drinks, wine and Beech Mountain Brewing Company beers on tap. Non-alcoholic beverages and snacks are available as well. The skybar’s 2,800-foot deck – complete with Adirondack chairs and picnic tables – offers a panoramic view of the Blue Ridge Mountains. During the winter season, 5506’ is only accessible to skiers and snowboarders with a valid lift ticket. After riding the chairlift up the summit, guests are required to ski or snowboard back down the mountain. There is no ride available to go down the chairlift. For more information, visit beechmtn.com or call (800) 468-5506. Take a ski/snowboarding lesson from a professional instructor. You’ll safely learn more in a one-hour lesson than you will all day on your own. Obtain proper equipment, and be sure to have your ski or snowboard bindings adjusted correctly. Rent or wear boots that fit firmly around your foot. Dress in layers to accommodate your body’s constantly changing temperature. Wear thin woolen socks, a windproof and waterproof jacket, waterproof pants and non-cotton thermal underwear. Wear fleece for warmth or a down jacket or vest if it is really cold. Be prepared for changing weather. Wear something to keep your head and ears warm. Wear insulated, waterproof gloves or mittens. Know your limits. Learn to ski and snowboard in control, and take a break if you get tired. Most injuries occur when people are fatigued. Published on December 1, 2017 in Beyond the Peach State, Travel and tagged none by Kristy Johnson.